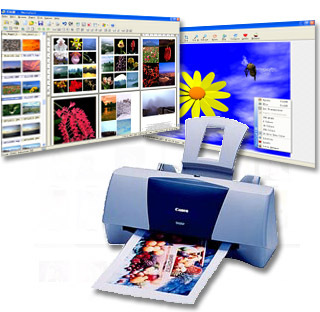 Digital photo printing software - print your digital photos. Add Text and Captions to Photos. Easy to get photos from scaner or digital camera..
You can Add frame to photos with customize Frame. You can create wonderful layout ready to go in just a few minutes. Batch Print a folder of photos. The Best Digital Photo Printing Software! Print your digital photos in seconds! You can print multiple photos in one page.You can make photo albums, passport,mini ID cards,CD covers , contact sheets and 4x6 or 5x7 photos with PhotoCool and make your photos into cool memories. All you need is four steps and a good photo paper; you will in no time have great prints to smile at. 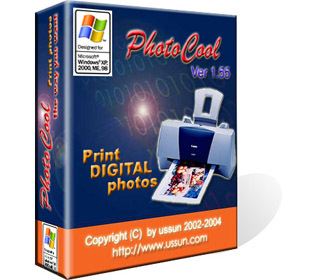 PhotoCool gives you many options to retrieve photos from digital camera, scanners or disk. All the operations can be performed by drag-and-drop or images can be arranged by thumbnails, by size or manual mode. Once you have uploaded your photos you can use the editing tools by PhotoCool image editor. 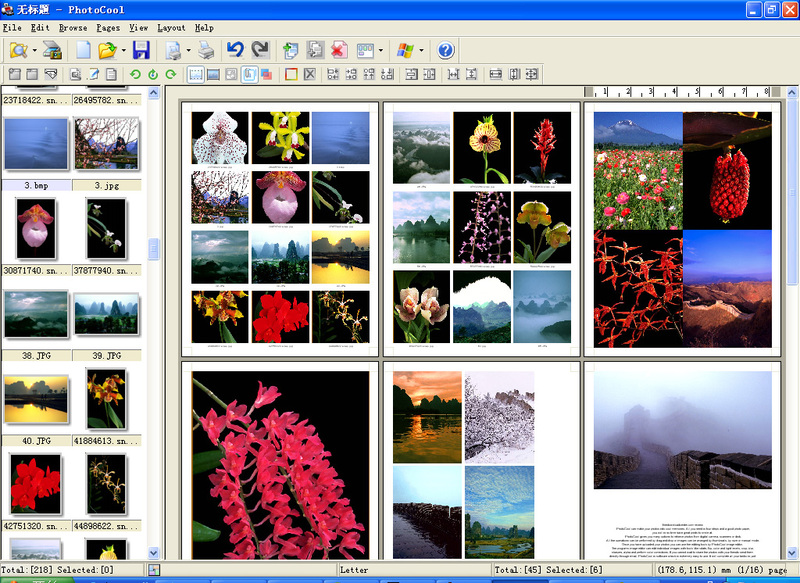 The programs image editor can edit individual images with tools like rotate, flip, color and light levels, crop, blur, sharpen, alpha ,red eye remove and perform color corrections. If you cannot wait to share the photos with your friends send them directly through email. PhotoCool is software which is extremely easy to use. It will complete all your tasks in just four steps. You can create wonderful layout ready to go in just a few minutes. Use PhotoCool and make your photos come alive. You can also add text watermark to your photos with our Batch Photo WaterMark(20% OFF) software. This is a GREAT product.Very nice design and extremely easy to use.The best digital photo printing software I have used. Your software for printing photos is SUPER. It's the exact program I've been looking for and I just love it. Thank you so much. I will e-mail my friends and tell them what a super program this is. Thanks again. This is photo printing software that you just need for your digital photos! Get PhotoCool for ONLY $29.95 NOW! Full 30 days money back guarantee! Print photos As Easy As 1-2-3-4! Four Steps And You're Done! Here's All The "Technical" Stuff You Need To Know. Browse your hard drive to select the folder that contains your favorite photos by clicking Browse Images button in toolbar. That's all... You're ready to go! Set page layout by clicking Change Page Layout button in toolbar!Select arrange mode you want to use(Manual,Thumbnail or BySize). Add images to layout.Select those photos you want print ,and drag and drop these photos to workarea,or you can doblle-click on the selected image on left pane.If you want to touch up your photos ,you can open Image Editor to edit your photos by double-click the image object. You're done.Click print button in toolbar,select Normal or Optimize in print effect frame of print dialog to print your photos.Before printing,you can change PageSetup by clicking PageSetup button in toolbar.Of course,it is recommended that setup the pages before step #2. If you have questions or problems about downloading or using,please contact us . Copyright ?2002-2011 Ussun. All rights reserved.